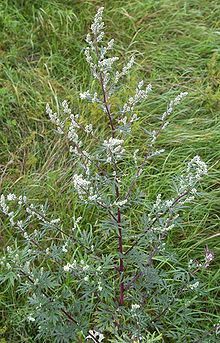 Artemisia annua, an annual forb (a broad-leaved herbaceous plant that is not a grass) is commonly known as Sweet Sagewort or Sweet Wormwood. 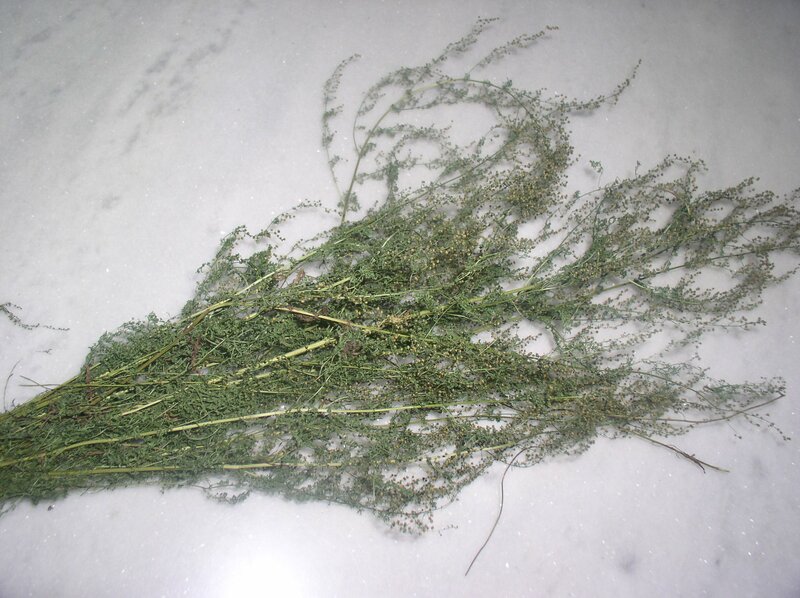 You might hear it called Sweet Annie or Annual Wormwood as well. 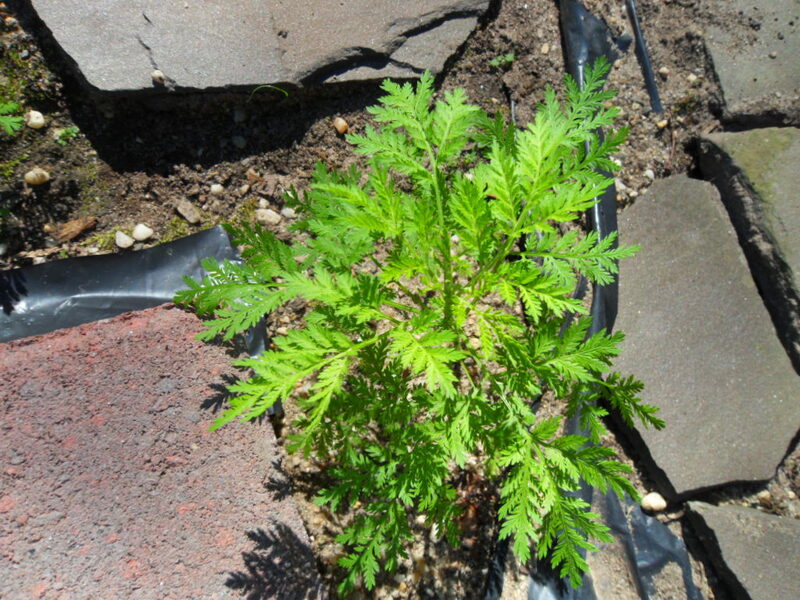 Artemisia annua, an annual, grows for just a single year. With fern-like leaves, the brilliant yellow petals of this flowering plant will draw the eye. No doubt this, coupled with its sweet piney aroma, is why Artemisia is often harvested for cut flower arrangements. A native of distant Asia, it has been adapted here and around the world. 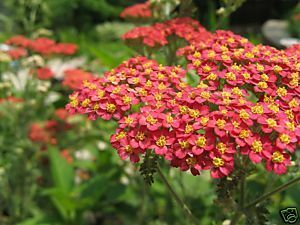 It has a strong medicinal scent and is cross-pollinated by mother nature herself, whether in the guise of a subtle breeze or flying insect. Scientists discovered, in the early 70’s, a chemical called artemisinin. 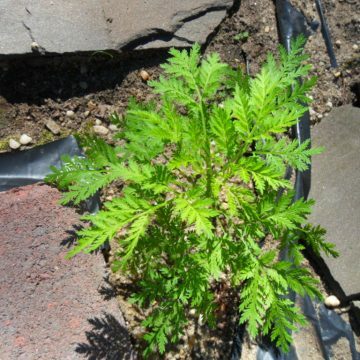 This extract is found in the leaves, stems and upper parts of Sweet Wormwood, and it is used today along with other anti-malarials to fight off internal parasitic afflictions. 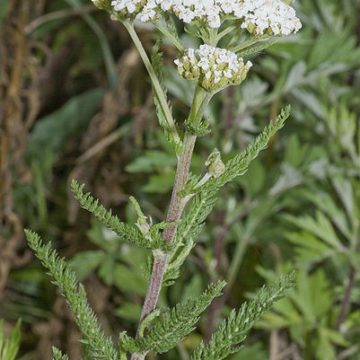 Some might argue that a tea boiled from this Sweet Sagewort is just as effective in fighting malaria but this point is yet to be proven by science. Also known to have anti-cancer properties, scientists are, as we speak, working with Artemisia as a possible combatant of breast, prostate and leukemia cancer cells. 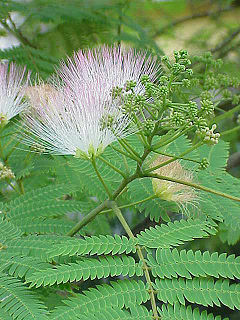 The Chinese consume the stems of this plant in salad-like form. It is considered a delicacy and often found to be pricier than meat. Think of the possibilities! Use the cut stems of this elegant herb as a centerpiece for your dinner table? and then serve it as an ingredient!